Lesson learned: Never get too excited. Hahaha. We already had a plan on how we're gonna maximize our time yesterday as Cy still has to go to work later in the evening. It's a good thing I was able to shop for clothes last Friday, otherwise, everything would have been a disaster from the start. Last Thursday, I sent an e-mail to this Digital Arts school to inquire on how much would it be to take up a course on Web Design. And I got a response and an invitation for a free 3-hour workshop on their school. I happily agreed! I do not usually resist anything that's free. Hehe. 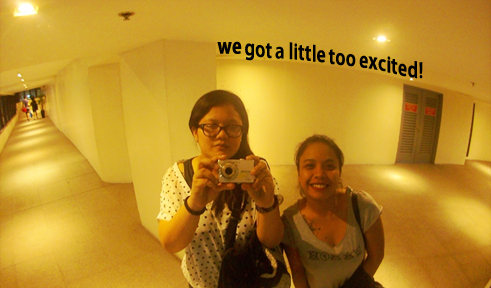 I got Cy to tag along with me since malls are not yet open after our shifts. Since it was just the same street as our office, we went there after a coffee fix. I look like I'm in pain. Lol. We were shown this clip for a little background about the company, etc. etc. I actually thought there will be a lot of people showing up for this free workshop since, as they said, it will showcase 2D Animation and Photoshop. There were a total of 3 people, us plus a teacher, that was whisked off to the workshop room. Rooms were named after artists. We were taught the most basic of things which didn't even last a mere hour. I was hoping for a little bit more, handouts perhaps, outline of the courses, more interaction but I was quite disappointed. Oh well, it was for free. I'm really thinking of pursuing this in the future. Money's tight right now so maybe, I can enroll next year. I just have to balance everything first just to make sure something good is going to come out of this. After that, we decided to proceed with our shopping mission so we could go home, have some needed rest and go to the exhibit in Paseo de Roxas. Cy was aiming to find blouses, dresses, sandals and leggings (all on the list crossed out) and I was looking for those elusive planners that I previously blogged about. I've already placed an order for my Filed planner but I was still optimistic that maybe I can find one on bookstores, another option would be the Lego planner or the Galison Fun Plan. I've been to 3 different branches of Powerbooks and 2 branches of National Bookstore but they were always out of stock. I guess I'll have to go to Fully Booked, then. We ate our lunch at BonChon at Greenbelt 1! Finally! BonChon chicken is really, really good. First choice was actually at Krazy Garlik at Greenbelt 5 but it was just too pricey. 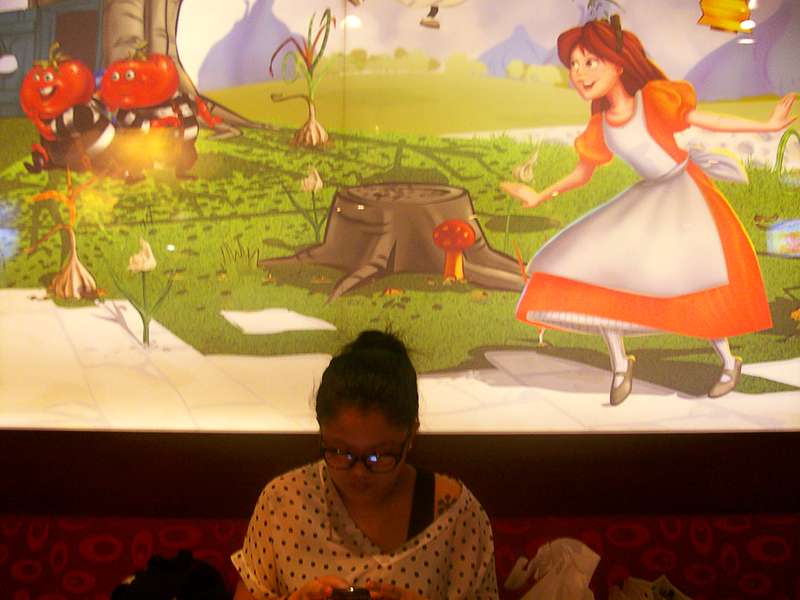 Though, I was able to get a picture taken with the Alice in Garlikland background! Hahaha! Enjoying our BonChon 2-pc Thigh Rice Box Meal! The chicken was super yummy and crispy and tasty without being too oily! Yum yum yum! It was something different for the taste buds! The place was also jam packed when we got there! But it was gastronomically satisfying. BonChon chicken is love! After our appetites have been satisfied, the feeling of tiredness swept us since we haven't had a decent nap since our shifts. I began to drag my feet and yawn non stop. When we got back at Landmark, the crowd has gotten bigger! It was around 330pm when we decided to go and arrived home at around 5 and decided not to go anymore. We were both disappointed but it was just a tiring day for us. Haha. Next time, we should prepare at least a week before to avoid cramming. But I'm not really complaining! We've accomplished a lot of things that day. BonChon Chicken off our list! We still got this coming week anyway. 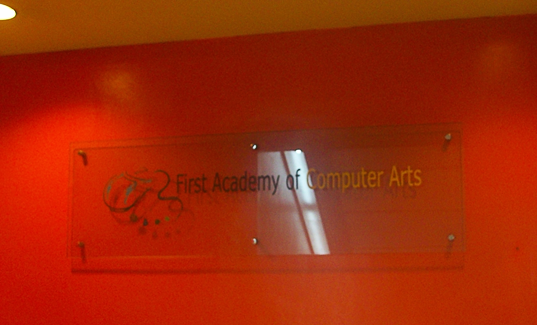 First Academy of Computer Arts is located at 2/F Saville Bldg. 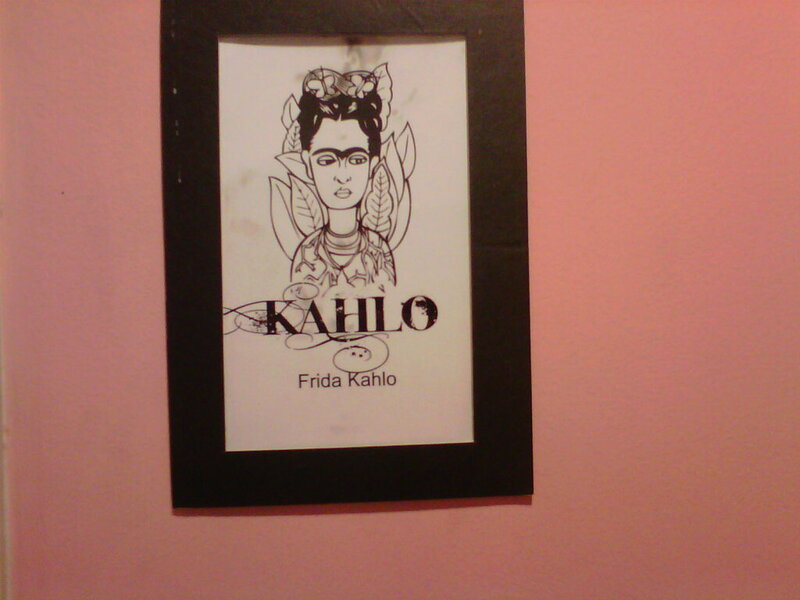 8728 Paseo de Roxas Ave. cor. Sen Gil Puyat (Buendia) Ave., Makati City. For those interested in the weekly (every Saturday) free workshop, you can contact Ms. Ara Banaag at 898-2724 to 26 or 09152128213. To visit their website, click here.